Several months ago I published a review of Carsten Peter Thiede’s bestselling book, Eyewitness to Jesus. Today we look at another of his books, The Dead Sea Scrolls. The book is subtitled And the Jewish Origins of Christianity. Clearly Mr. Thiede is not one to shrink from controversy. Carsten Thiede is first and foremost a papyrologist. In this book he details how he utilized his pioneering methods of restoring ancient scrolls to study and interpret the Essene library found at Qumran in 1947. Thiede begins with the basics. The scrolls were written by an ancient sect of Judaism known as the Essenes. The scrolls were written in Hebrew and Aramaic…the language of Jesus. And these scrolls were known to other ancient writers such as Origen and other early Christian theologians until at least the Third Century. In so doing he verifies what many have long believed: initially the first Christians were essentially a Jewish movement, not a fundamentally different religion. That such a conclusion should be deemed controversial indicates that modern Christians appear to have lost touch with their roots. Anyone examining the origins of Christianity is quickly led to its relationship to Judaism. Jesus and all of the original disciples were, after all, Jewish. The way they thought and worshipped, their sense of the sacred, of feast and festivals, of fasting, praying, their rites and rituals, were all part and parcel of their Jewish roots. And so, when the two religions began their bitter separation, is it surprising that the dowry which Christianity took away from the relationship would be Judaic in nature? Interestingly, Thiede was able to identify scroll fragments from Mark’s Gospel and Paul’s first letter to Timothy among the Dead Sea Scrolls. What does this mean, and what does it say about the settlement at Secacah…present day Qumran? First, and foremost, this amazing discovery indicates that these documents must have been written before the destruction of Jerusalem in 70 AD. It also suggests that the Essene community apparently viewed the early Christians as fellow Jews, perhaps members of a new sect, and were eager to examine their provocative ideas about the true Messiah. I originally read this book while seeking background information for my Seeds of Christianity™ Series. 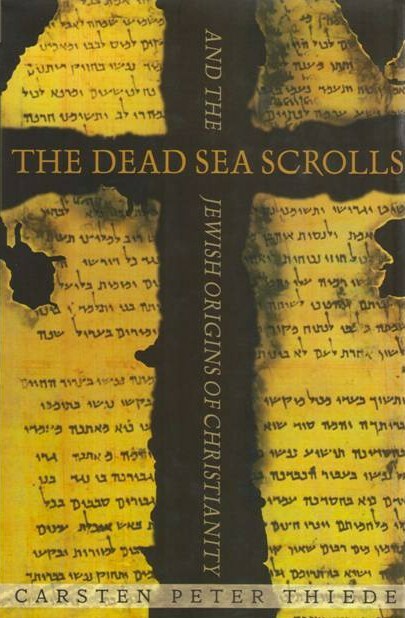 Though startling in its conclusions, The Dead Sea Scrolls is very readable, well illustrated and as interesting as any novel. Mr. Thiede explains the technical aspects of papyrology in understandable terms, making the book assessable to the non-scientist. I highly recommend it. You will be amazed at how much information he can pull from a few centimeters of ancient parchment.